A pen now feels awkward to hold and as such, our penmanship is deteriorating. It’s now common to sit at a dinner table with family and friends where some are actively communicating with others, listening to music or gaming via mobile devices. We are redefining the perception, boundaries and thresholds for privacy as we once knew it. The future of the art of long form writing is at risk of becoming shrtr and less formal #forrealz. For others, social networking online is converting introverts into digital extroverts, rewarding participation with confidence boosting actions such as responses, “likes,” friend requests, shares, etc. To connect with other human beings now in the future is not only changing, it’s evoking a sense of Digital Darwinism. The mantra of “Engage or Die!” was born to make the point that what was, what is, and what will be are no longer linked to all we know and instead, demand an expanded perspective. Social networking is pervading led by the clicking, connecting, and sharing of hundreds of millions of Internet denizens around the world. 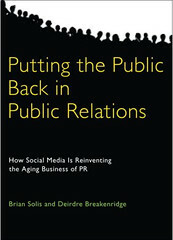 While Facebook is the digital equivalent to your online residence, Twitter is reflective of the “me” in social media. Twitter is not a social network, it is a series of disparately connected personalities linked through friendship, admiration, education, and context. How we embrace and invest our persona in this paradigm says more about the future of digital culture and ourselves than we might imagine. Over the years, measuring the impact of Twitter as a medium, proved difficult and elusive as details and numbers did not emanate from Twitter itself. Third-parties using APIs helped us paint the landscape to visualize the tremendous proliferation of what started as a microblog and later evolved into an intricate system for sharing, discovering, and voicing our inner monologue. To help, Williams posted details, stats, and direction to the Twitter blog. As a result, some very interesting usage patterns and adoption rates were revealed. First, Twitter boasts over 145 million registered users. In April at its inaugural Chirp conference, Twitter announced 105 million users tweeting upwards of 65 million times a day. The number of active accounts however, remains unknown. As Twitter better explains its mission, purpose, and value system to everyday consumers, the number will only continue to grow. Evan Williams also shared a glimpse of the Twitter ecosystem and how individuals connect to one another. If the “Web is Dead” Twitter users have yet to hear the news. 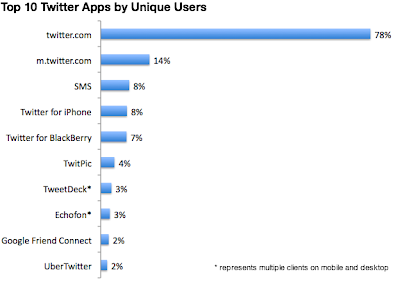 Twitter.com and m.twitter.com account for 92% of all access and communication. I believe that in order to truly understand technology, the internet, social media and its impact on society, business, and culture, social science becomes paramount. Social science is the study of human society and social relationships and its role in the evolution of Twitter, social networking and the future of online societies is paramount. While we focus on the future, we must also look at the past and the present to find meaning, purpose, and insight to steer progress. This rapid evolution requires study in order to navigate change and define a course of action and the passage ways to what lies ahead. As technology and the internet affect human behavior and culture, understanding how we got here will help us affect where we are going. The future of communication, relationships, and education is in your hands…and your status updates, tweets, “likes” and connections.